Swypeout is a breakthrough in action, adventure and excitement, says Toy Wishes magazine. 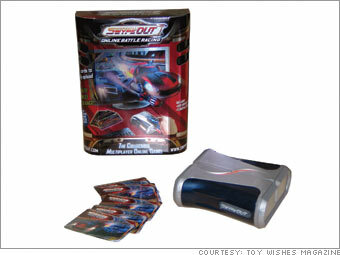 Connect the USB scanner, go to the secure Website and swipe the collectible trading cards to power up for thrilling races. Kids can play with friends around the corner or around the country.